Writing has never been easy. But in the age of emojis, abbreviations, microscopically tiny keys and autocorrect, it’s never been more painful to wade through paragraphs clogged with typos, grammatical errors and prose that would make your 5th grade English teacher smack her forehead in frustration. Thankfully, Ginger Page Premium stands ready to take back your sanity from horrendous communication. Make sure you’re part of the solution and not the problem with this app that’ll make you a better writer, on sale now for $69.99, a 90 percent savings, from TNW Deals. With a rating of 4.5 out of 5 among more than 1,200 iTunes reviews, Ginger Page earns the raves by attacking bad spelling, punctuation and sentence construction across all of your devices and throughout all of your various writing programs. Just download the app and start writing. No matter whether you’re writing a doctoral thesis or texts to your BFF, Ginger Page gets to work, inspecting your typing to catch a vast array of writing errors. In addition to thwarting all your typos and simple mistakes, Ginger Page takes apart your sentence construction as well, improving clarity, tightening up your style and offering up helpful suggestions to not only correct errors but actually improve your writing top to bottom. Ginger Page’s grammar checker and sentence rephrasing tool will also supply word definitions, translate text into 50 different languages, and even serve as a writing trainer with personalized practice sessions that’ll reshape how the world views what you write. 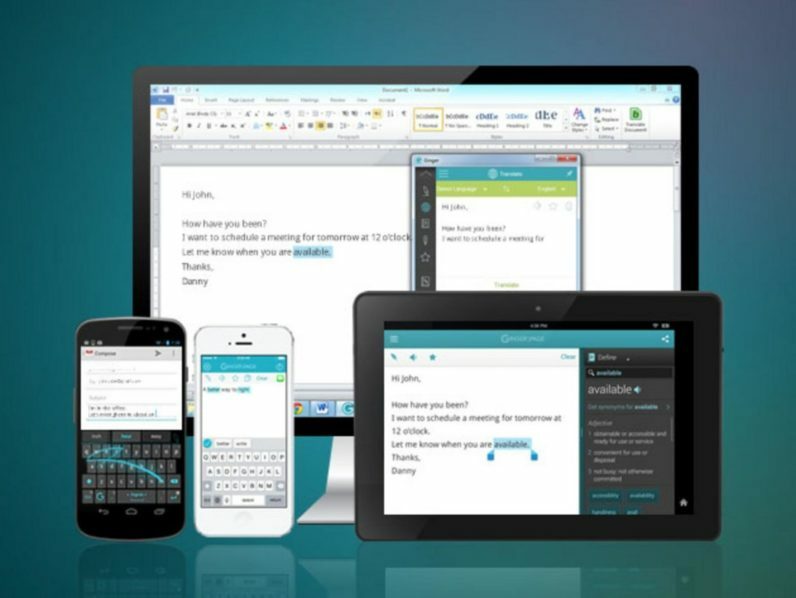 Whether you’re writing in Microsoft Office, Chrome, Safari, Android or iOS, your $69.99 purchase guarantees full lifetime access to complete writing support. Or with this limited time deal, you can also get shorter 3-year ($49.99) and 1-year ($29.99) service plans.